A raucous black comedy featuring Cotter Smith, star of the Netflix series Mindhunter. 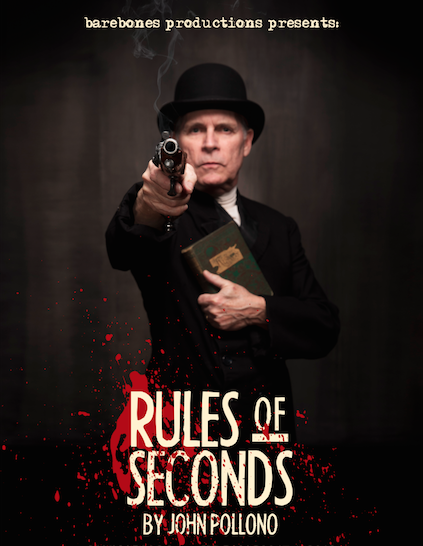 Set in Boston in 1855, Rules of Seconds uses the code of dueling as its backdrop, spinning a hilarious, hyperbolic tale that asks the question, "How far will a man go to defend his honor?" The entire run is SOLD OUT! Email info@barebonesproductions.com to be put on our waiting list. Please be advised that there is no late seating. Runtime: Approximately 2 hours with an intermission. Accessibility: If you have special accessibility or seating needs, please email us in advance at info@barebonesproductions.com so that we can assist you on-site.